Get real! The genre of "Realism" sounds simple enough. This guide is designed to help students and teachers explore the genre and enjoy reading significant stories with themes that tell it "like it is." Realism is the polar opposite of Romanticism. Realists depend on facts and reality, while Romantics embrace emotions, intuition, and individual freedoms of expression. 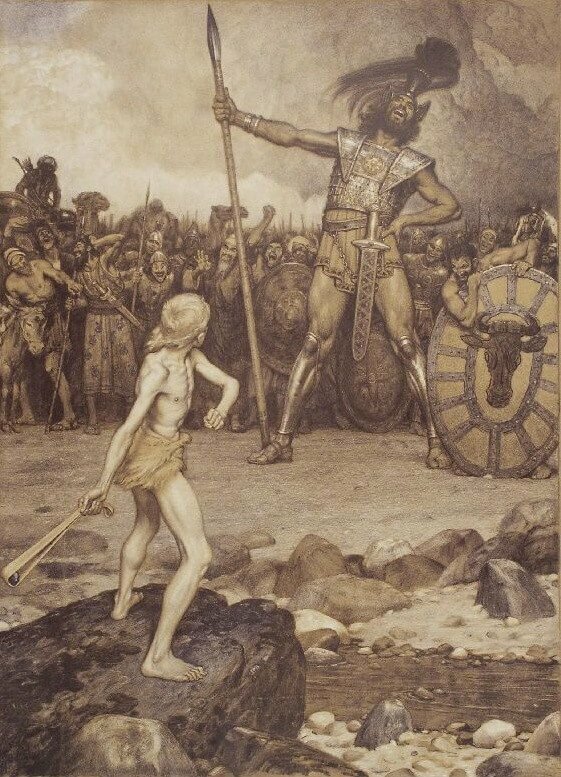 In a "David and Goliath" scenario, Romantics root for David because he has a chance, while Realists know the data supports that Goliath will prevail. Realists account for the forces of nature, government, and war, which confront the common man. Similarly, Dark Romantics emphasize self-destructive forces, human fallibility and a "what can go wrong, will" philosophy. Gothic Fiction is similar to Realism in that both genres provide graphic details to support the story's credibility. However, Gothics take this to an extreme by including elements of torment, morbidity, and the supernatural. The genre of Realism is expressed around the world, in art, literature, and music, exposing the raw, naked, factual truths of life. Early adopters of Realism include Russian authors, Alexsander Pushkin, who focused on human avarice, and later, Ivan Turgenev and Anton Chekhov, who employed cynicism and social commentary about the destructive forces of all-powerful institutions, usually with ironic twist endings (satire can be helpful when coping with suppression and fear). Visit our guide to Russian Writers for more about their distinct expressions of Realism, including Turgenev's landmark collection, A Sportsman's Sketches . Works of Realism by Emile Zola, particularly Drink (L'Assommoir), an excruciatingly detailed account of alcoholism and poverty, resulted in his being the most widely-read author in France. English Science Fiction writers who would come later, including Dystopian authors, H.G. 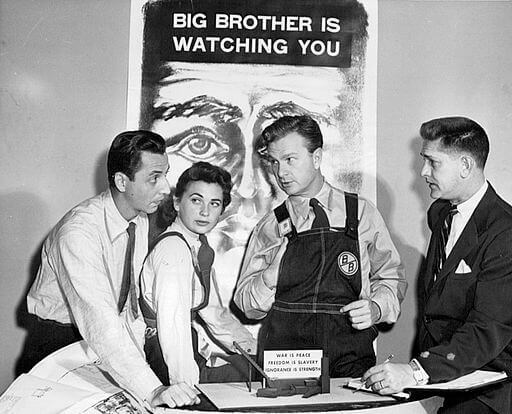 Wells and George Orwell, foretell of destructive futures in which dominating technologies and governments strip individual identities and suppress freedom of expression. 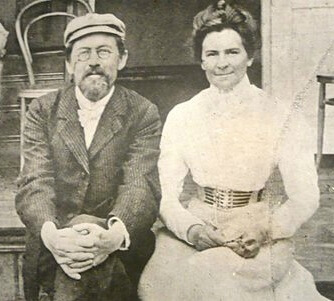 Exemplary Realist American authors include: Mark Twain, William Dean Howells, Mary E. Wilkins Freeman, Henry James, Frederick Douglass, Ambrose Bierce, Thomas Nelson Page, and Anzia Yezierska. Daisy Miller by Henry James is considered a masterpiece of American Realism. The Rise of Silas Lapham by William Dean Howells exemplifies Realism in his iconic "rags to riches" story, and ethical choices he must make in his rise to wealth and power. 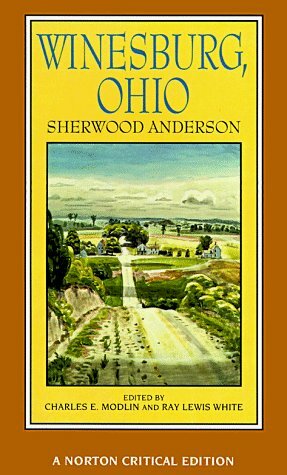 Winesburg, Ohio by Sherwood Anderson followed in Howells ' naturalist style, creating authentic character studies of fallable people with whom we can relate. Tom Sawyer , and his semi-autobiography, Life on the Mississippi by Mark Twain reveal his witty cynicism and commentary about race and social classes, particularly in the South. His flair for sarcasm covers a broad range of every day topics, as in About Barbers . 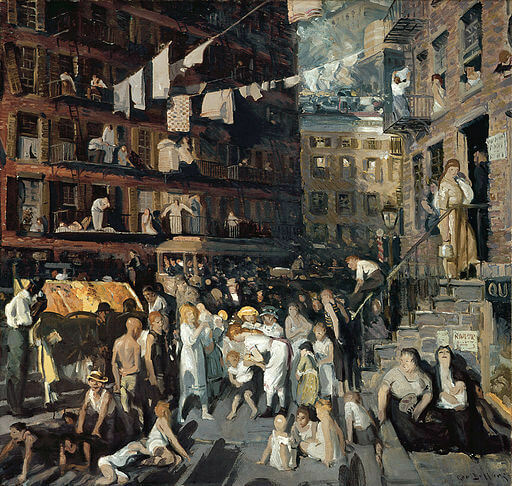 The Fat of the Land by Anzia Yezierska, a Jewish-American author relaying the immigrant experience in New York's tenements, speaks of the many challenges in forging a new identify and achieve "The American Dream." Ambrose Bierce and Thomas Nelson Page are American authors whose experiences during wartime inspired them as exemplars of Realism. 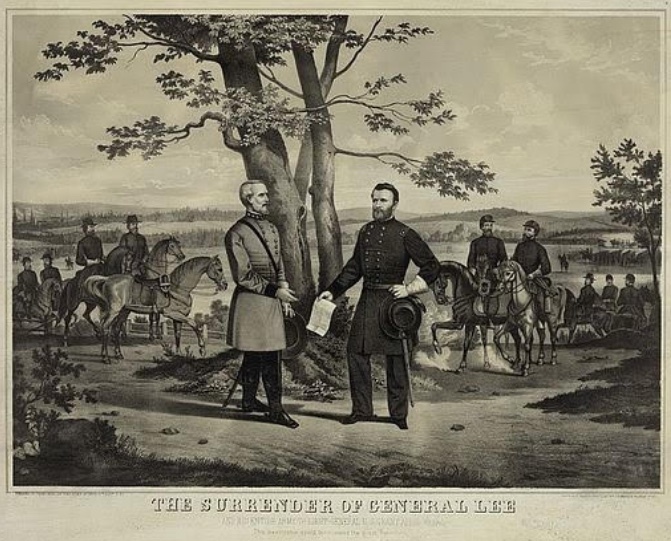 Particularly Bierce expressed uncanny details about the complex ethical choices confronted by soliders during the Civil War; his readers feel like they are there. 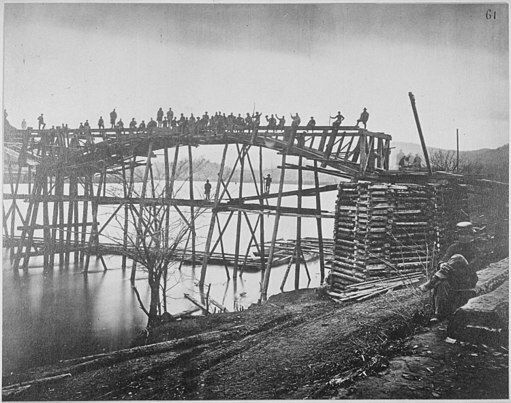 Visit our collection of Civil War Stories for other stories and poems that epitomize Realism. 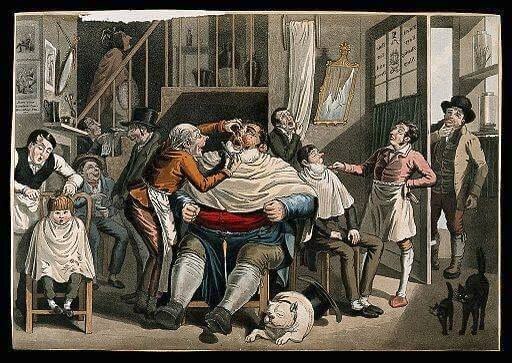 The etymology of "Realism" is from the Latin word "realis." It means "the faithful representation of reality." The opposite of idealism (how we would like things to be), Realism values objectivity, free of emotions or interpretation. American authors embraced Realism, particularly between 1860 - 1890, with a focus on the economic reality of middle-class life, the ordinary, the "here and now." Character was more important than action and plot, complex ethical choices were emphasized rather than morality. The increasing rates of democracy and literacy, the rise of industrialization and the Westward expansion, immigrants flooding into the country-- all provided a broad range of American experiences to write about. In addition, America was attempting to recover and unify following the destructive and devisive American Civil War, the promises of the Reconstruction era remained fraught with inequalities and lack of access based on race, education, and wealth, and the festering dichotomies between Northern and Southern cultures. Though the U.S. Constitution was amended (Reconstruction Amendments) to provide African-Americans the right to vote, equal access and parity with whites would remain illusive for another century. President Abraham Lincoln was assassinated in 1865. Romantic, idealist literature fell out of favor, replaced by authors who could "tell it like it is" with Realism. 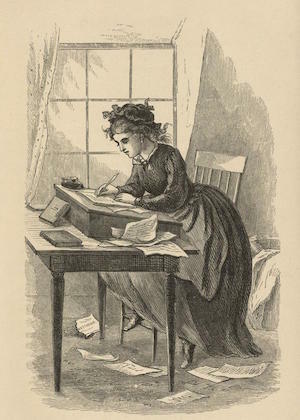 "I am a poor woman, I earn my bread by taking in lodgers. I am a weak, defenceless woman . . . I have to put up with ill-usage from everyone and never hear a kind word..."
"They are hopelessly vulgar. Whether or no being hopelessly vulgar is being 'bad' is a question for the metaphysicians. They are bad enough to dislike, at any rate; and for this short life that is quite enough." "When Joe Dagget was outside he drew in the sweet evening air with a sigh, and felt much as an innocent and perfectly well-intentioned bear might after his exit from a china shop. Louisa, on her part, felt much as the kind-hearted, long-suffering owner of the china shop might have done after the exit of the bear." "Will you sort of look over it, sir, if you think it's worth while? We was in a sort of hurry and we had to put it down just as we come to it; we didn't have time to pick our ammunition; and it ain't written the best in the world, nohow." "If he was not commonplace, it was through nothing remarkable in his mind, which was simply clear and practical, but through some combination of qualities of the heart that made men trust him, and women call him sweet--a word of theirs which conveys otherwise indefinable excellences." 1. Identify the characteristics of Realism. How is it different from Romanticism in meaning and expression? 2. Provide an example of a story that celebrates the "ordinary" (Realism) with a story that celebrates the "hero" (Romanticism). 3. Discuss the common elements shared by the genres of Dark Romanticism, Gothic Literature, and Realism. What are some important differences? 4. What was happening in United States history between 1860-1890 that gave rise to the appeal of Realism by American authors? 5. 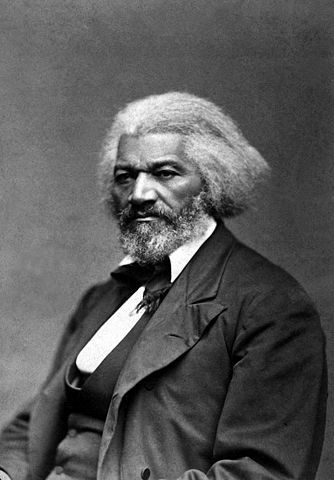 Read Frederick Douglass's speech, Oration in Memory of Abraham Lincoln and discuss how speeches and poltical oratory fall within the genre of Realism. 6. 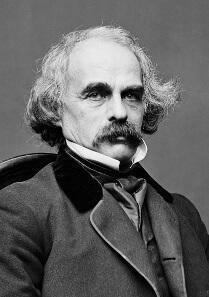 Choose a story by Mark Twain and discuss his use of sarcasm and cynicism befitting his title as a Realist. 7. Read The Fat of the Land and discuss how the story's portrayal of the Jewish-American immigrant experience exemplifies Realism. 8. Consider Ambrose Bierce's A Horseman in the Sky and the many ethical and moral conflicts presented in the story. 10. Consider the appeal of fiction which exhibits Realism versus fiction which exhibits Romanticism. Which do you tend to like better and why?